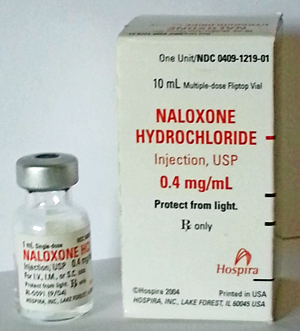 I found this bottle of Naloxone in Brendon’s room as I was going through his things. At the time I found it, I had just heard about Naloxone. It made me wonder why I didn’t know about this life saving drug when Brendon was alive. He apparently knew about it. I believe the outdated messaging of “Anonymous” is contributing to the massive loss of life we are currently seeing as a result of the pandemic of addiction. It is my hope that by sharing this story and the life saving information about Naloxone, that lives can be spared. When a person is overdosing on an opiate like heroin or Oxycontin (the body doesn’t know the difference between these two drugs), the brain actually forgets to breathe. The narcotic invades the area of the brain function that manages breathing, and so the person just stops breathing. FACT: There is and has been an antidote to reverse this process and stop the overdose in its process for over 50 years. Naloxone, also called by its trade name, “NARCAN”, is a prescription drug that has been in use for over 50 years by EMT, Medical Professionals, ERs and sometimes law enforcement to stop an overdose in its process. If the drug is administered in a timely manner, it can actually reverse the overdose as it happens. NARCAN (or naloxone), when administered, works immediately going right to the brain and booting the narcotic out of the brain area that manages the function of breathing. In my mind, it can be compared to an EpiPen, in that if someone was having a severe allergic reaction the lack of access to an Epi-pen could be fatal. Harm Reduction Coalition has been distributing Naloxone through the DOPE Project for over 10 years in San Francisco. They have trained nearly 5,000 people and had 1100 reported lives saved with naloxone, mostly at the hands of other drug users, friends of the overdosing person. There are 200 other programs in the US that do this, in 18 states. They have collectively trained over 50,000 people since the first program started in 1996, mostly through small needle exchange programs providing this life-saving program on a shoestring budget. She advised that it is safe –yet to be very aware that by administering Naloxone to someone who is overdosing, they are quickly thrown into withdrawal. It is extremely uncomfortable for the addict and they will experience flu-like symptoms –the severity of withdrawal symptoms depends upon how much naloxone is administered and the amount of drugs used by the person. . There are important steps to follow when administering Naloxone, the first step is calling 911 – tell them you have an emergency someone is not breathing. Training also includes how to perform rescue breathing and how to administer naloxone, either by an injection into the muscle or through a nasal spray. 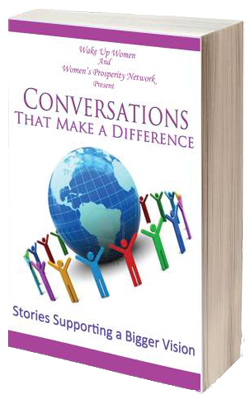 At the end of my chapter, I have provided the necessary resources for you to put into action what I’ve shared. Information without action has little value. Does Naloxone work for every drug overdose? No – it is for use in opiate overdose (drugs like heroin, Oxycontin, etc). However, if the person has taken multiple drugs, like alcohol, benzodiazepines (like Valium, Klonopin, Xanax) or cocaine with an opiate, the naloxone will work, but it will only block the opiate. Doesn’t Naloxone send the “wrong” message to addicts that they can use without consequence? The truth of the matter is that the addict experiences a high level of discomfort when administered naloxone. It throws the body out of a place of euphoria into immediate withdrawal. People who are using drugs do not wish to have naloxone administered to them. The message that naloxone sends, instead, is that someone’s life is worth saving. Death is not a consequence that teaches a lesson. What other controversies have you encountered on the matter of using Naloxone and promoting this life saving antidote? What are the “legal” matters one needs to know around naloxone? There are 3 items we need to understand regarding the laws of Naloxone. States vary on where they stand on these items. According to existing laws that govern how prescribers can prescribe drugs, a medical professional can write a prescription for naloxone for an individual who uses opiates for use on themselves. This is how all prescriptions work—a person is prescribed a drug because they have a “condition” (in this case, opiate use) and the drug is the treatment for the condition or side effect of the condition (in this case, opiate overdose). However, this is a bit impractical because if the addict is overdosing they cannot self-administer naloxone. There are many overdose prevention programs that dispense naloxone to anyone who needs it, whether or not their state has one of these “naloxone liability” laws in place. But for some prescribers who are more apprehensive, these laws give them the peace of mind that prescribing naloxone to anyone who might witness an overdose is within the law. Many medical professionals express apprehension about “allowing lay people”, i.e. non-medical professionals to administer naloxone. This controversy is very unfounded. I watched a demonstration of administering naloxone. It can be compared to a diabetic who manages their insulin, as well as people who are trained and certificated daily in CPR. With minimal training, lay people, such as the addict’s friend or family member, are fully capable of recognizing an overdose and administering naloxone. Over 10,000 lives have been saved by lay people administering naloxone already. If this is a “real” issue, then local public health should be spearheading programs designed to educate and certify someone as being designated to administer Naloxone. A third law muddying the matter is the Good Sam law. This law enables someone to call 911 if a person is overdosing with a “no questions asked, no legal prosecution” response. You just can’t imagine how many people (young people) have been left to die in the road or somewhere because those people they were with were too afraid to call for help because of legal prosecution. Again, if we continue to treat addiction as a criminal matter, how can we ever treat it as a disease? How can people get the help they need? -Contact your local Public Health Department, specifically the office that deals with substance use issues, or drug education and prevention. Find out what they are doing when it comes to naloxone. Do they have a dispensing program setup for people in need? Do they have and distribute an education program on overdose prevention? What outreach programs do they have setup to help those most in need? Remember that anyone with prescribing privileges (doctors, nurse practitioners, psychiatrists, etc.) can legally dispense naloxone and that this is a public health issue that should be addressed.